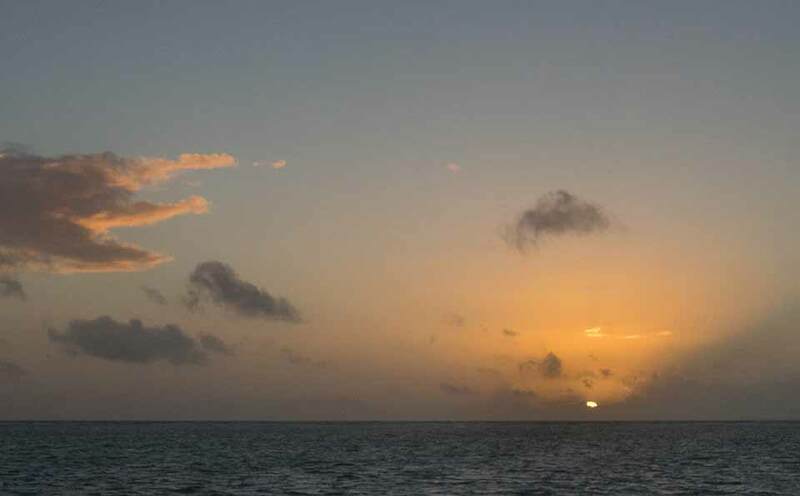 Belize NMS: Fair, windy and mostly dry conditions continue to dominate our weather. 24-hour forecast: Sunny skies with a few cloudy spells today and partly cloudy skies tonight. Showers will be isolated, except for a few more over northern areas today. General Outlook: For Monday and Monday night is for mainly fair weather with windy conditions and little or no rainfall expected. Today E-SE 10-20 kts Moderate-Rough 5-7 ft ISOLATED SHOWERS WITH A FEW MORE OVER THE NORTH. Tomorrow E 10-20 kts Moderate-Rough 5-7 ft LITTLE OR NO RAINFALL. Outlook E 10-20 kts Moderate-Rough 5-7 ft ISOLATED SHOWERS. Gale-force winds are forecast along the coast of Colombia each night through mid-week. The gale winds will cover the area from 11N-13N between 73W-76W with seas 12 to 14 ft. Winds are forecast to go below gale-force in the afternoon hours, and resume again by 0000 UTC. Please refer to the High Seas forecast product under the AWIPS/WMO headers HSFAT2/FZNT02 KNHC for more details. Scatterometer data depicts moderate to fresh trades across the remainder of the area. Low- topped trade wind showers continue to quickly move across the basin. On Ambergris Caye this morning the wind is from the East at 15 mph and the sea around the barrier reef is calming from the past two days of high winds. The current condition of the sea at the barrier is Moderate to Rough. Today is sunny with an expected high tempatature in the upper 80's. One of those lines of Caribbean cloud caused a few small areas or rain last night. 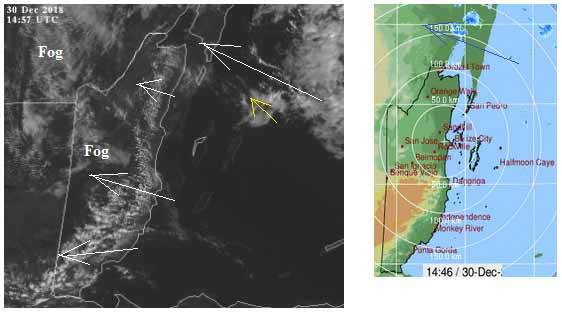 There are lines of Caribbean cloud streaming in from the ESE,some again with larger areas of cloud, one such area is presently causing rain in the Yucatan, just north of Chetumal. Generally the Caribbean clouds are more likely to get to north Belize later today and could cause some isolated rain showers. There is some warmer air from the south, slightly pushing some of the Caribbean cloud upwards. There is already Caribbean clouds forming over most of southern Belize and some into central Belize. But presently, there is fog in much of central Belize that will lift over the next hour or two. Looks as if today will turn out rather like yesterday, mainly sunny, but with white clouds building, after the fog has cleared, with a small chance of the isolated rain shower, more so later this afternoon. The Cloud picture. The fog in central Belize has still not yet cleared, but it should in the next hour or so. The easterly Caribbean winds dominate our weather at present. There has been a stream of Caribbean patchy clouds coming in from the east Caribbean for a few days, but this has resulted in an area or front broad band of cloud, that is presently stretching from Nicaragua or even further south, over Honduras and right up to Cancun and further north. 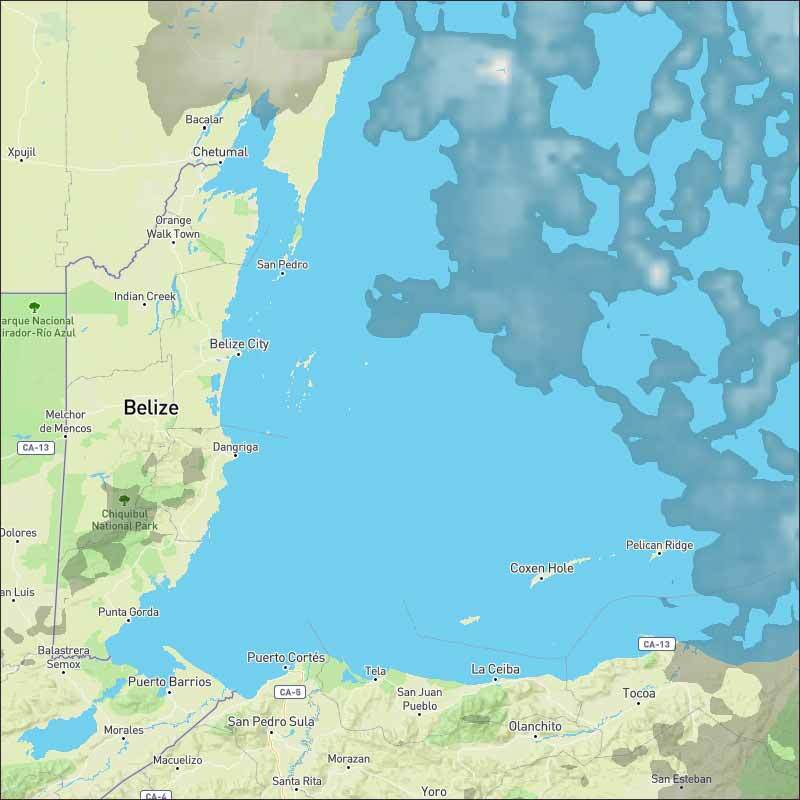 It is presently spread across the sea, mainly just off Belize, but already into the Corozal district. 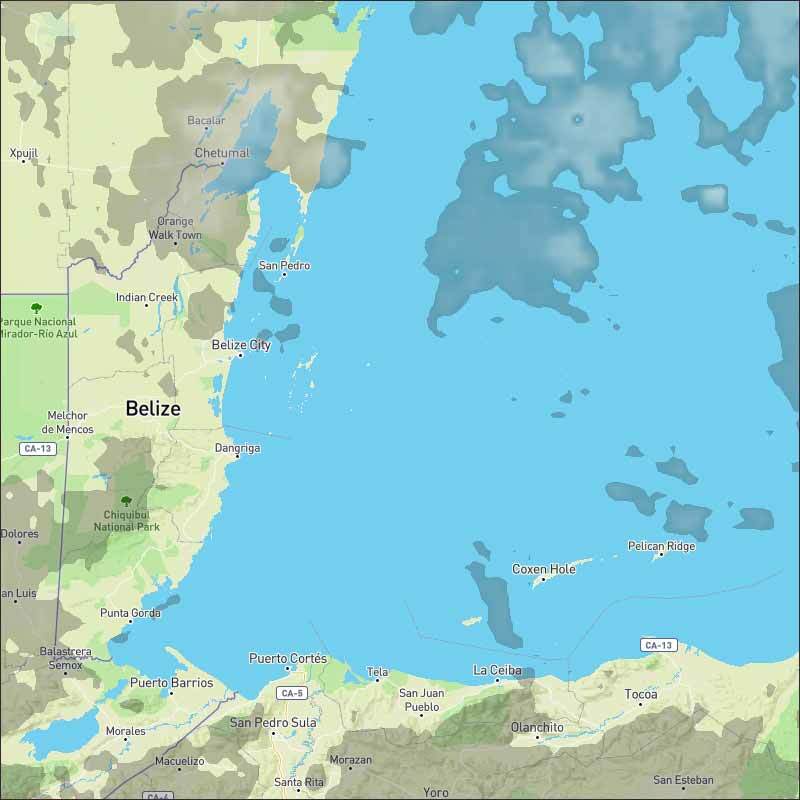 It is particularly heavy in northern Yucatan and producing significant patches of rain up there, and some down as far as Chetumal, there is some rain out at sea, but presently, little or none in Belize. This cloud could bring some rain to Belize over night, but there is some clearer weather behind it, but still with patches of cloud. Looks as if there might be patches of overnight rain, a less chance of early morning fog, but Tomorrow probably mainly sunny but with significant white clouds developing in the morning, a risk of a few small rain showers, strong easterly winds.